Q. 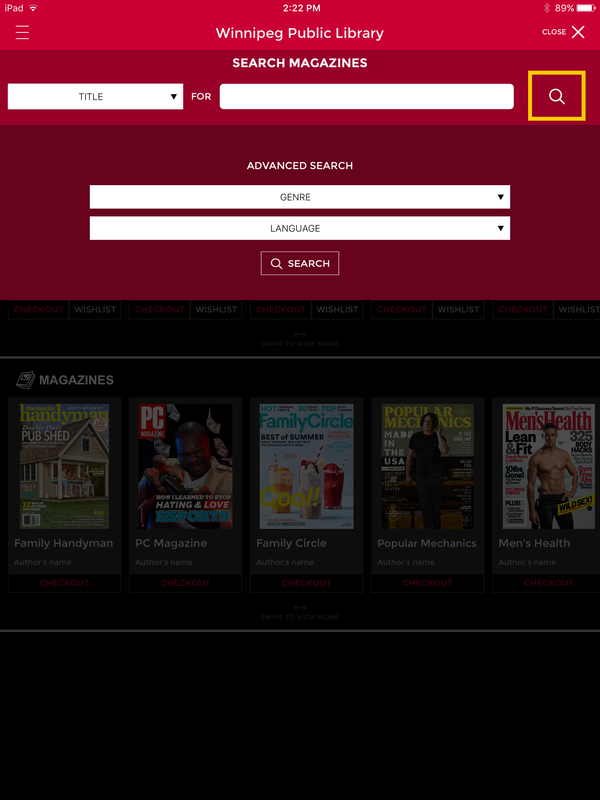 How do I set up the RBdigital App to read eMagazines? 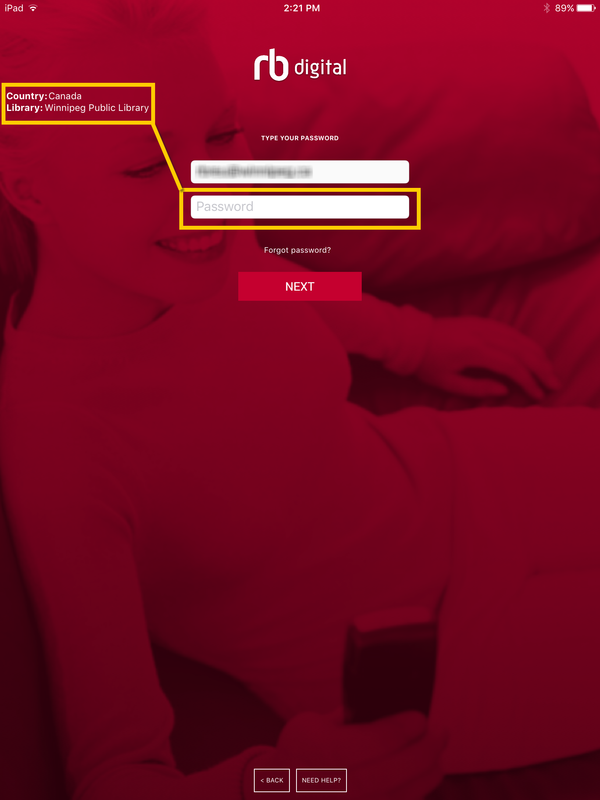 Connect to RBdigital through the library website. When you are taken to the site, click "Register" to register. Your account is easy to create. 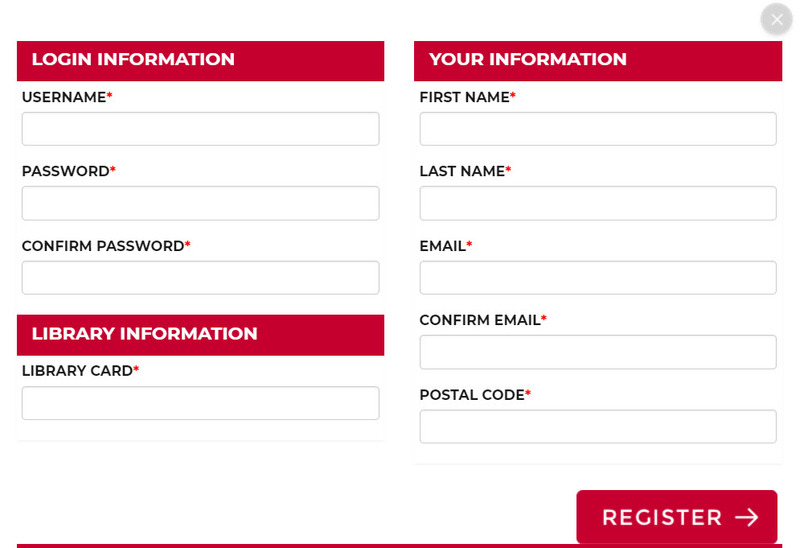 Enter the required information in the blank boxes and then click on "Register". This username and password that you create is what you will use to log in to the app. Go to the Apple Store or Google Play Store to search for and install the RBdigital app. 4. Sign in to the app using the log in credentials that you created in Step 2. When you first open the app, the page will default to the USA. Scroll down to Canada and then enter the username and password that you created in Step 2. After you tap NEXT, you will be taken to a page to enter your password. 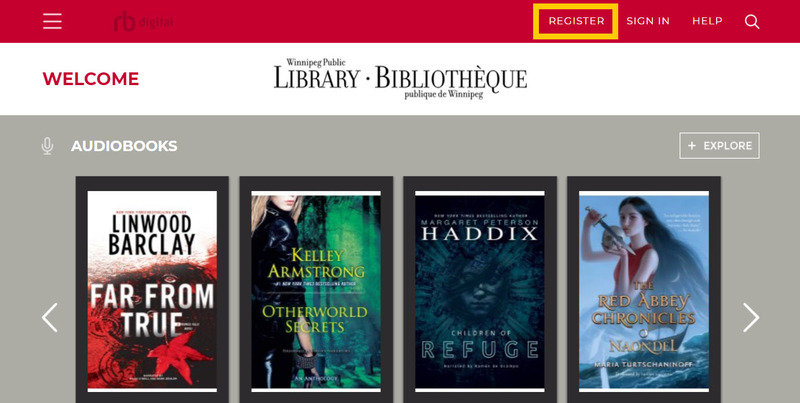 If you have selected the country correctly, the screen will also say Canada and Winnipeg Public Library. If your login has been successful, you will be taken to the HOME page of the app. Narrow down the collection to view MAGAZINES or AUDIOBOOKS. 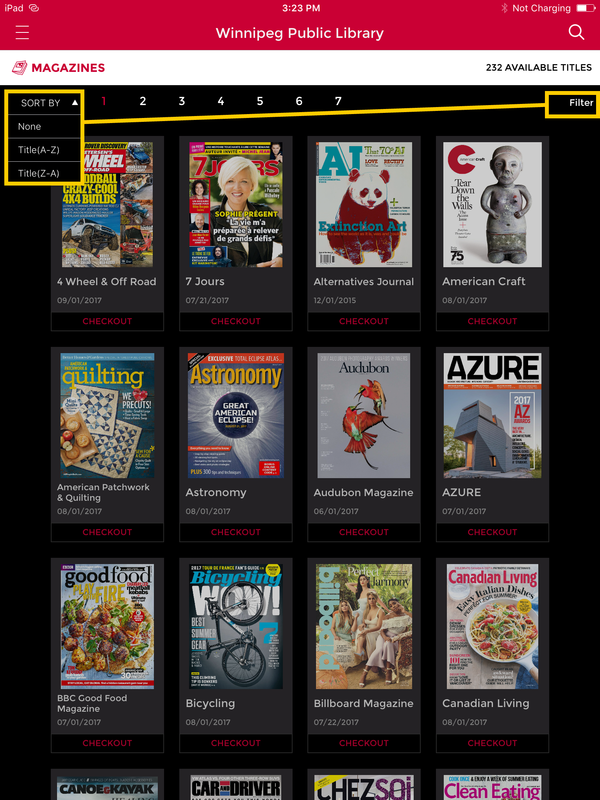 You can sort magazines alphabetically by tapping SORT BY on the left side, or filter magazines by tapping on FILTER by genre or language on the right side. You can search by TITLE by tapping on the magnifying glass icon and entering your search word(s). After you find a magazine that you're interested in, tap on the magazine cover. You will be taken to a page that shows the latest issue. To view back issues of the magazine, tap on VIEW ALL ISSUES. You will be taken to a page that shows all of the back issues available for each magazine. Back issues can be borrowed too! 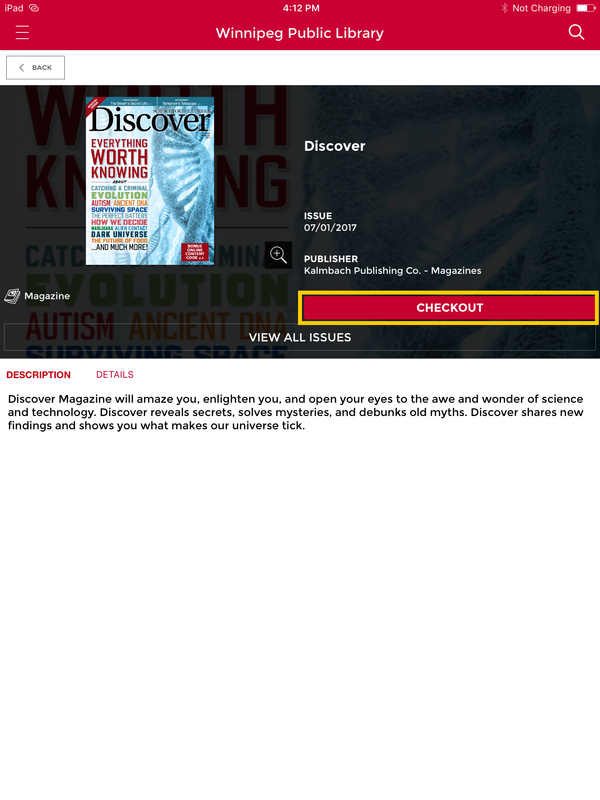 To checkout a magazine, tap on CHECKOUT. 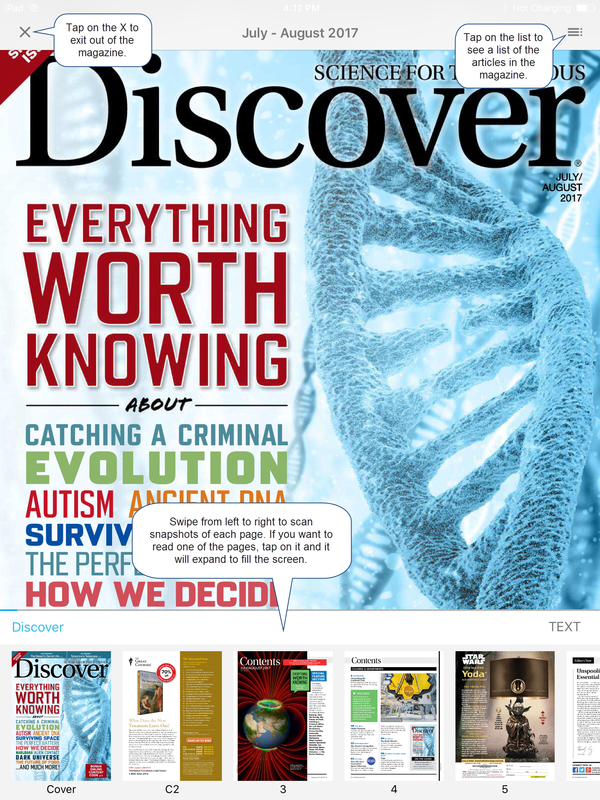 A screen will pop-up to let you know that you have successfully checked out the magazine. The pop-up screen also have a checkbox that you can select if you'd like to be notified by email when the next issue of this magazine is available to borrow. Click OK to close the pop-up screen. After you tap OK, you will see the screen that allows you to READ the magazine, RETURN the magazine or VIEW ALL ISSUES. To read a magazine, tap on READ. The magazine will be opened and you'll be taken to the first page of the magazine. Swipe left or right to move from page to page. If you want to skip to a specific article in the issue, tap in the middle of the screen. Two bars will be opened up - one on the top that allow you to close the magazine or see a list of its articles, and one on the bottom that allows you to see smaller versions of each page. You can swipe left or right to scan the pages. To return a magazine, tap in the middle of the magazine as outlined in Step 9 and then tap on the X in the top left corner. This will take you back to the magazine record where you will be able to tap on RETURN.